"What would be the best therapy for high functioning autistic children who are overly sensitive to bright lights, loud noises, strong odors, certain fabrics, and certain foods?" Children with High-Functioning Autism (HFA) and Asperger's (AS) often have a secondary diagnosis of sensory dysfunction. This may be found in the youngster who can't get enough sensory input, and needs to touch everything, jump on things, and simply craves input - or it may be the youngster that can't stand touch, doesn't like certain clothing because it irritates him or her, and can't handle sounds. Most of us unconsciously learn to combine our senses (i.e., sight, sound, smell, touch, taste, balance, body in space) in order to make sense of our environment. Kids on the autism spectrum have trouble learning to do this. Sensory integration therapy (SIT) is a type of Occupational Therapy (OT) that places a youngster in a room specifically designed to stimulate and challenge all of the senses. During the session, the therapist works closely with the youngster to encourage movement within the room. SIT is based on the assumption that the youngster is either over-stimulated or under-stimulated by the environment. Therefore, the aim of SIT is to improve the ability of the brain to process sensory information so that the youngster will function better in his daily activities. The youngster is guided through all of these activities in a way that is stimulating and challenging. The focus of SIT is helping kids with HFA and AS combine appropriate movements with input they get from the different senses. The child's mother or father can integrate sensory integration into the home by providing many opportunities for the youngster to move in different ways and feel different things (e.g., a swing set can be a form of SIT, as can a ball pit or a lambskin rug). Ever day, people experience events that simultaneously stimulate more than one sense. They use their multiple senses to take in this varied information, and combine this information to give them a clear understanding of the world around them. People learn during childhood how to do this. Thus, through childhood experiences, people gain the ability to use all of their senses together to plan a response to anything they notice in the environment. However, kids on the spectrum are less capable of this kind of synthesis, and therefore they may have trouble responding appropriately to differently stimuli. Kids with HFA and AS may also have a difficult time listening when they are preoccupied with looking at something else. This is an example of their difficulty in receiving information via more than one sense simultaneously. Doctors who treat kids on the spectrum believe that these difficulties are the result of differences between the brains of autistic kids and other "typical" kids. The underlying concepts of SIT are based on research in the areas of neuroscience, developmental psychology, occupational therapy, and education. Research suggests that sensory information received from the environment is critical. Interactions between the youngster and the environment shape the brain and influence learning. Furthermore, research suggests that the brain can change in response to environmental input, and rich sensory experiences can stimulate change in the brain. 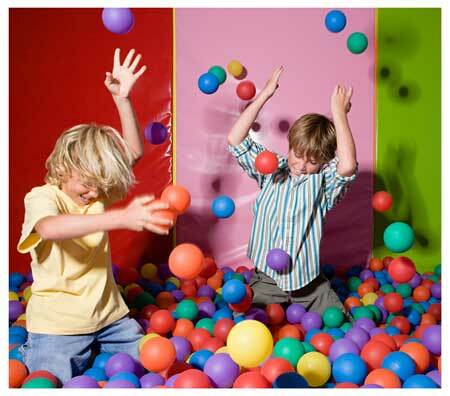 Sensory integration equipment is relatively low-tech, but can be moderately expensive. These include anything from large bins of rice that a youngster can climb into, to an indoor swing set. Another sensory-related therapy is called Sensory Stories. Sensory Stories are similar to social stories in that they use individualized stories about sensory situations that an individual autistic boy or girl may encounter, and then provides instructions on appropriate behaviors for the youngster to use in response.